Talk to Yankee Harley-Davidson® about financing your Harley-Davidson® with credit, and get out on the road today. If you've decided you want to finance your new CVO™, Dyna®, Street™, Softail®, Sportster®, Touring or V-Rod®, you're not alone. Seventy percent of enthusiasts do. With a minimum down payment and approved credit, you can arrange credit financing with us and get out on the road a few hours after picking out your Harley-Davidson®. And because we finance more CVO™, Dyna®, Street™, Softail®, Sportster®, Touring or V-Rod® than anyone else, we understand your special needs. Only someone who knows how you feel when you hit the starter button understands that hitting the road ASAP is your biggest concern. That's why we make it easy. *Financing Offer available only on new Harley-Davidson® Touring motorcycle models financed through Eaglemark Savings Bank and is subject to credit approval. Not all applicants will qualify as the Annual Percentage Rate (APR) will vary based on the applicant’s past credit performance and the term of the loan. Financing offer is available only for up to a 60 month term. For example, a 2019 Road Glide® Special motorcycle in Billiard Blue with an MSRP of $27,989, no down payment and amount financed of $27,989, 60 month repayment term, and 2.99% APR results in monthly payments of $502.80. For example, a 2019 Street Glide® Special motorcycle in Barracuda Silver with an MSRP of $27,589, no down payment and amount financed of $27,589, 60 month repayment term, and 2.99% APR results in monthly payments of $495.62. In these examples, customer is responsible for applicable taxes, title, licensing fees and any other fees or charges at the time of sale. APR is calculated according to the simple interest method. Not valid in conjunction with other offers. Customer must take delivery by March 23, 2019. Other terms, conditions, and limitations may apply. Dealer participation may vary. Financing offer is subject to change or cancellation at anytime. 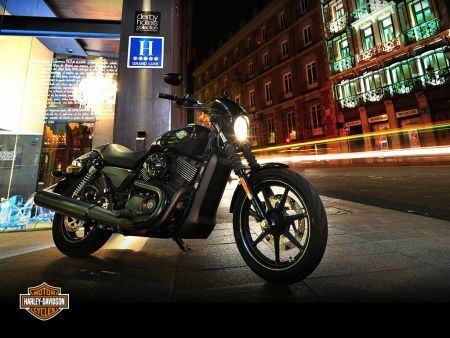 See a Harley-Davidson® Dealer for details.